Scooper - Technology News: Kenya has just burned $110m worth of ivory. Why? Kenya has just burned $110m worth of ivory. Why? Kenya has destroyed its entire stockpile of elephant ivory. More than 100 metric tons of “white gold” – both illegally harvested (confiscated from poachers or traders) and naturally accruing (from natural mortality) – went up in smoke this weekend. In China – where the majority of the world’s ivory is consumed or stockpiled – the recently reported price is $1,100 per kilogram, putting the total value of the material to be burned at roughly $110 million. China and the United States are in the process of formulating bans on domestic ivory trade, so it is not clear which governments would be interested in purchasing African stockpiles. Vietnam and Laos are likely candidates, but they are also part of the infamous “golden triangle,” where illegal trade in wildlife and wildlife products continues to thrive. The possibility of the legal ivory trade shifting to poorly regulated markets calls for a concerted international response, spearheaded by African governments through coalitions like the Elephant Protection Initiative , together with countries such as China. 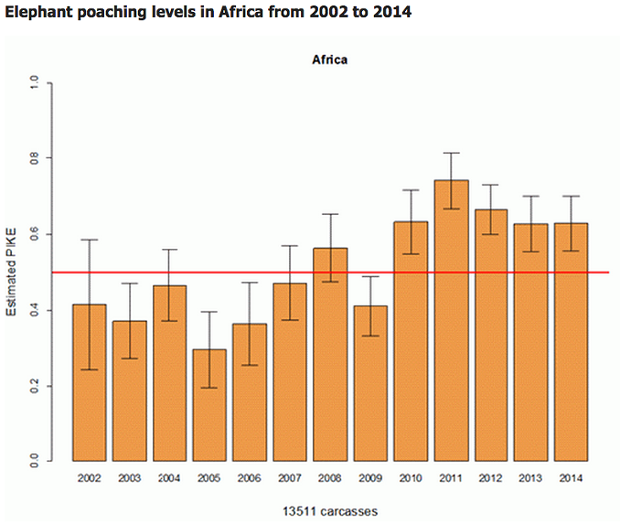 Poaching also has a negative impact on communities, benefiting a few at the expense of the many. Recent research has shown that community conservancies (areas set aside for wildlife conservation) in northern Kenya are highly effective forms of landscape (and therefore elephant) preservation, provided the right incentives are in place. This is important because in countries like Kenya and Tanzania, the majority of wildlife exists outside formally protected areas.